Italy School football tours: based in the destination used for Series A summer training camp. Throughout the season we can design best value, tailor made Italian football experiences that match the standard of competition that you require. Following a morning football coaching session you will visit one of the most exciting cities in Europe, Milan. Start with a visit to the impressive San Siro Stadium home to both AC and Inter Milan for a stadium tour. Your tour takes you to the grandstand which offers an excellent view of the pitch and stadium. You will visit the VIP stands, the hospitality areas, the interview room as well as the players’ changing rooms. With so many fantastic photo opportunities make sure you have your camera at the ready! Complete your tour with a visit to the museum and stadium shop. No visit to Milan would be complete without setting aside time for shopping in the ‘fashion capital’. Visit ‘La Galleria’ shopping area where you will be sure to find a treat or two! Back in resort this evening you will finish your day with a visit to the beautiful lake for a pizza night! School football tours in Italy are based in the picturesque destination of San Zeno di Montagne. With its spectacular views of Lake Garda and professional standard facilities, it is no wonder that it is used as a summer training camp for Serie ‘A’ team Chievo. The village has a warm and relaxed atmosphere, there is beautiful church at its heart and a number of bars, restaurants and shops that are popular with locals and visitors alike. San Zeno is close enough to Verona, Venice and Milan to make sure that your group can enjoy the rich culture that this part of Italy enjoys. Depart from your UK airport bound for Italy. 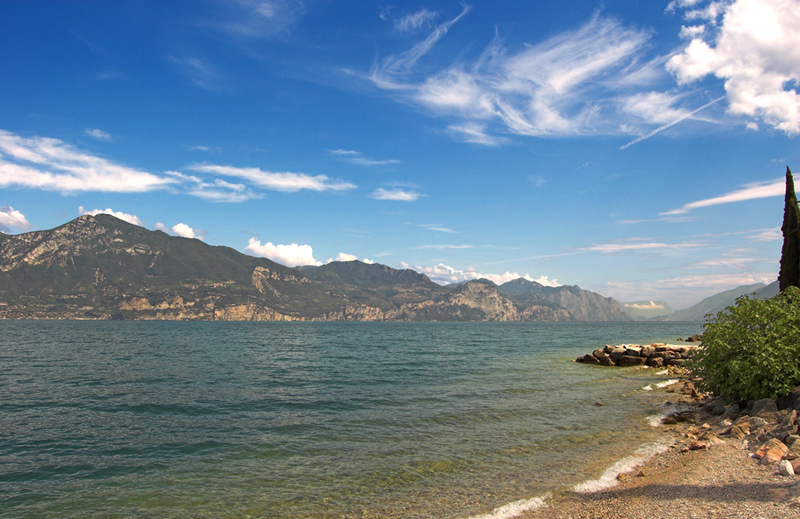 On arrival at your destination airport you will be greeted by your activ4 representative and escorted to your coach for the transfer to Lake Garda. On arrival at the hotel your activ4 rep will assist you with check in to ensure that there are no problems. 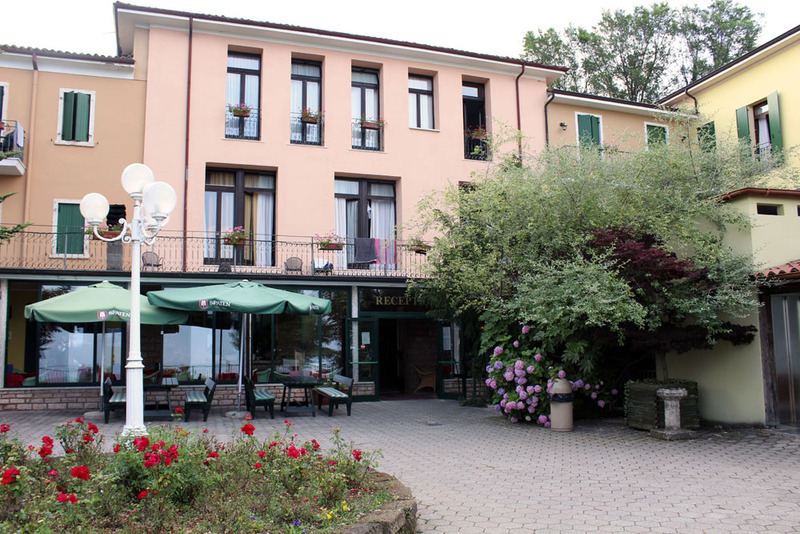 School groups have been enjoying Italy school sports trips at this resort for a number of years which is a testament to how much it has to offer. Belvedere village is a beautiful complex with apartments overlooking the main pool with facilities in each room. The complex boasts three swimming pools, an onsite mini market and a restaurant pizzeria. As with all areas of activ4 programmes, evening entertainments will be carefully planned for your group and you can round off your first day with a quiz night! Your group will start each day with a buffet breakfast before heading out for the day’s activities. The coaching sessions will commence in the morning and one of the great things about our Italy school sports trips is that they excel in so many different sports so their sporting facilities are superb and just a short distance away. Our main training venues include the nearby hotels of the Paradiso and Antares. Italy SportsFest 1Our professional and experienced activ4 coaches really know how to work the students and your first session is sure to excite them all. The first fixtures get underway late afternoon or early evening and where possible it’s always a bonus for teams to watch each other play. After the first of your fixtures you will enjoy a visit to Benacus Amusement Arcade where you can enjoy a game of bowling as well as the other activities on offer including the video games and laser tag! Following a morning coaching session, today you will visit one of the most exciting cities in Europe, Milan. Start with a visit to the impressive San Siro Stadium home to both AC and Inter Milan for a stadium tour. Your tour takes you to the grandstand which offers an excellent view of the pitch and stadium. You will visit the VIP stands, the hospitality areas, the interview room as well as the players’ changing rooms. With so many fantastic photo opportunities make sure you have your camera at the ready! Complete your tour with a visit to the museum and stadium shop. No visit to Milan would be complete without setting aside time for shopping in the ‘fashion capital’. Visit ‘La Galleria’ shopping area where you will be sure to find a treat or two! Back in resort this evening you will finish your day with a visit to the beautiful lake for a pizza night!. Back to sport this morning with your final coaching session where our coaches’ will help the students prepare for today’s games. During the afternoon you will head to Verona; a Roman city which has many historic places of interest including the Verona Amphitheatre which dates back to AD30 and costs just €1.00pp to enter, and Juliet’s famous balcony. 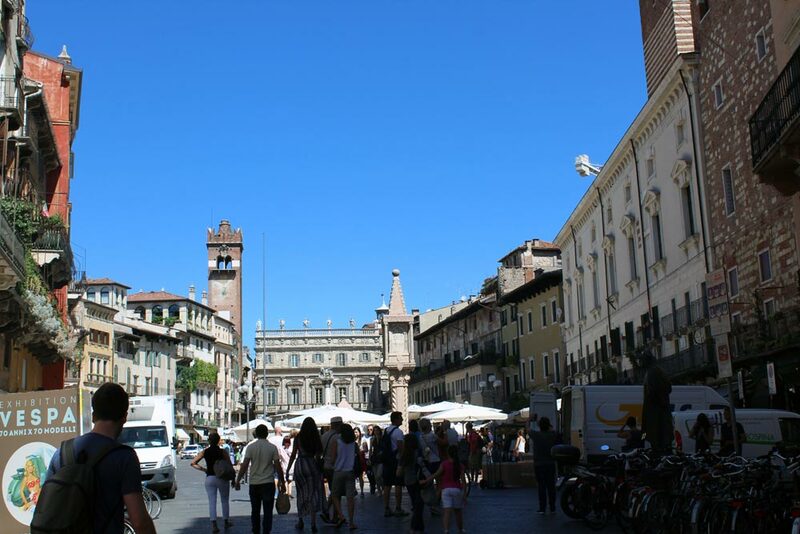 Visit Piazza delle Erbe which is great for shopping and ice-cream. Prior to departure your tour manager will discuss the format and the standard of opposition required in order to get the most out of your tour. The students will have acclimatised to their surroundings and will be keen to put in a good performance later on in the day for the final fixtures and tournament finals. As it’s the final night what better way to round off your tour than with a Presentation Night and Disco which will be hosted by the activ4 team, so tonight everyone will gather together for the final celebrations and farewell.